Joy Feinberg, a founding partner of Boyle Feinberg, P.C., named one of The Best Lawyers in America for 2016. 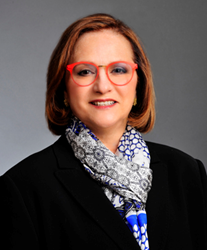 Joy Feinberg, Boyle Feinberg, P.C. Whoever my client is, I always form a close bond with them in order to understand and empower them to achieve their goals. Feinberg founded Boyle Feinberg, P.C. with Janet Boyle, both of whom were awarded American Institute of Family Law Attorneys 10 Best Client Satisfaction 2016 accolades. They combined their talents to form Boyle Feinberg, a law firm focused exclusively on family law. Feinberg, who was also selected as a Super Lawyer for 2016, represents business owners, entrepreneurs, highly compensated executives, professionals in all fields, athletes or their spouse in complex divorce cases having business or other valuation issues. Recognizing the struggle one has prior to starting the divorce process, Feinberg guides her clients to inspired resolutions, whether by collaborative discussions or utilizing her seasoned trial skills. “Whoever my client is, I always form a close bond with them in order to understand and empower them to achieve their goals,” said Feinberg.